Landrover Defender: Land Rover 109" Series 3 Diesel. Sellers Comments - this 109" has years of use still in her. Went through the mot in december with no advisorys :-) The engine starts 1st time with no rattle or humms, and sounds as sweet as they come. Both the bulkhead and the chassis are in good condition, the two bulkhead outriggers have been replaced and are not original to this vehicle. The chassis,springs & axles have been wax-oyled. The cab has had a little refurb with new Delux seats and matting. 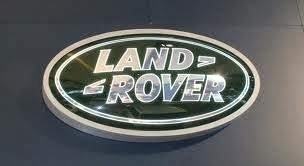 The indicator and side light lenses had started to fade so were replaced prior to the mot,as were the wiper blades.. Both front door top's have been replaced with fully glased units. All the electrics..... lights,indicators,horn,wipers,blower work as they should. The tyres have 1000's of miles left in them and show no cracks or splits. Second gear does have the usial "whine" otherwise the transmission is v-good. The four wheel drive system engages.... and releases as it should. The steering is possitive and does not pull under braking. The back door has been painted at some point, and the near side lower panel has a slight scrape in the mid-ships, otherwise this landy has an overall clean bill of health. We know that this vehicle is from a private estate, and only has two owners. The speedo reading shows: 18,906 miles. (Dont know weather this is genuine or not) but I'm sure previous mot's can be checked. (I will go and see my local mot man).